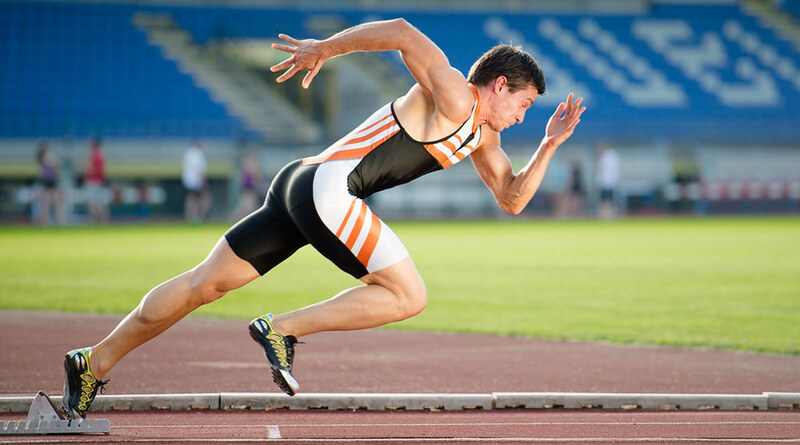 Technique and performance research in sprinting and hurdling has helped athletes win medals, improved coaching and instigated changes to athletics and skeleton. Improving coaches' and athletes’ understanding of performance can provide a significant edge in competition. But the mechanics of sprinting have rarely been examined with truly elite athletes running at high velocities. As a very specific group it's extremely hard to predict their technique based on the performance of lower level athletes. And research into elite athletes' technique is inherently difficult. Athletes and their coaches are often hesitant to participate in research due to fear of making changes to their normal training. Dr Aki Salo’s work with athletes and coaches, and close working relationship with UK Athletics, has allowed him to translate the knowledge he's acquired through his research directly to the very highest level of the sport. Specialising in the technique of elite sprinters and hurdlers - including World Championship and Olympic athletes - he has researched the fundamental principles underlying performance, in order to improve an individual athlete's technique and efficiency. Working with the British national men’s 4x100 metre team to investigate relay exchanges, Dr Salo identified the best baton change-over distances in the exchange area, athletes’ running velocity patterns and their interaction with each other. This helped improve understanding of key issues in 4x100 metre relay exchanges and how to measure these baton exchanges. Based on this research, Dr Salo created a videotaping and analysis template that has been used by UK Athletics over the last 10 years. It also prompted UK Athletics to adapt and develop a new approach, which included inviting and supporting Dr Salo to attend pre-competition training camps and to be part of the support team at major Championships. Dr Salo analysed over 90% of all British national senior relay team activities at preparation camps and during the Championships for the Beijing Olympics 2008, Berlin World Championships 2009, Barcelona European Championships 2010, Daegu World Championships 2011 and London Olympics 2012. Over 100 top British sprinters and hurdlers, and their coaches, who have represented Great Britain in major outdoor Championships in 2007-2012 have received some analysis and feedback from Dr Salo. His translational research and role as part of the UK Athletics support team is unique in British HEIs in relation to athletics, and he was the only biomechanical technical personnel in the whole of Team GB for the Beijing Olympics in 2008. Dr Salo has been an invited speaker at several UK Athletics workshops between 2008 and 2012, providing education for top athletes and coaches about relay running - going through performances from the previous summer to learn lessons for the future. Although targeted at the relatively small audience of top athletes, the same message has reached broader audiences via their coaches, as they coach wider groups of athletes, including young athletes. Additional workshops in hurdling were the first time when some new key issues to hurdle clearance technique had been introduced into formal coach education in the UK. The National Event coach for hurdles at UK Athletics, who has personally coached athletes to ten Olympic or World Championship Gold medals, has utilised this insight in his coaching over the last few years. The impact and benefit of Dr Salo's research isn't limited only to athletics sprinting. Based on his work on sprint start and sprinting, UK Sport and British Skeleton contracted the University of Bath to translate his expertise to the skeleton start in 2011-2014. The start is a very crucial part of each skeleton race and is essential to achieving a successful time. 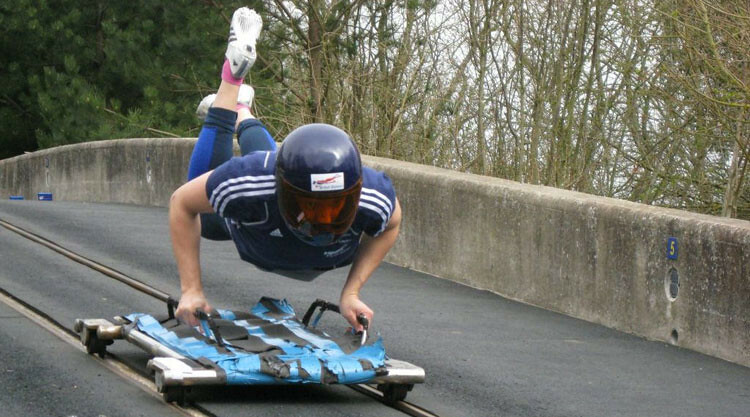 Wearing spiked shoes to grip the icy track, the athlete pushes the sled with one hand for 20-30 metres before leaping onto the sled. While research on elite athletes is inherently difficult, and in most cases changes are extremely hard to quantify at an individual level due to so many extraneous variables, UK Athletics and British Skeleton have changed their practices, and both coaches and athletes appreciate and value the insights drawn from Dr Salo’s work. This research was part of our REF 2014 submission for Sport and Exercise Sciences, Leisure and Tourism.